Trendy, vintage-style black and white barber cape with barber tool print sets the tone for an old-school, classic look. 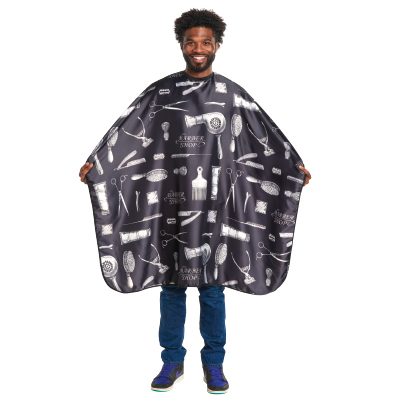 Made from 100% soft, durable polyester, this cape is static-free, water-resistant, and features a high quality black metal snap neck closure. One size fits most. Measures 45" x 58".